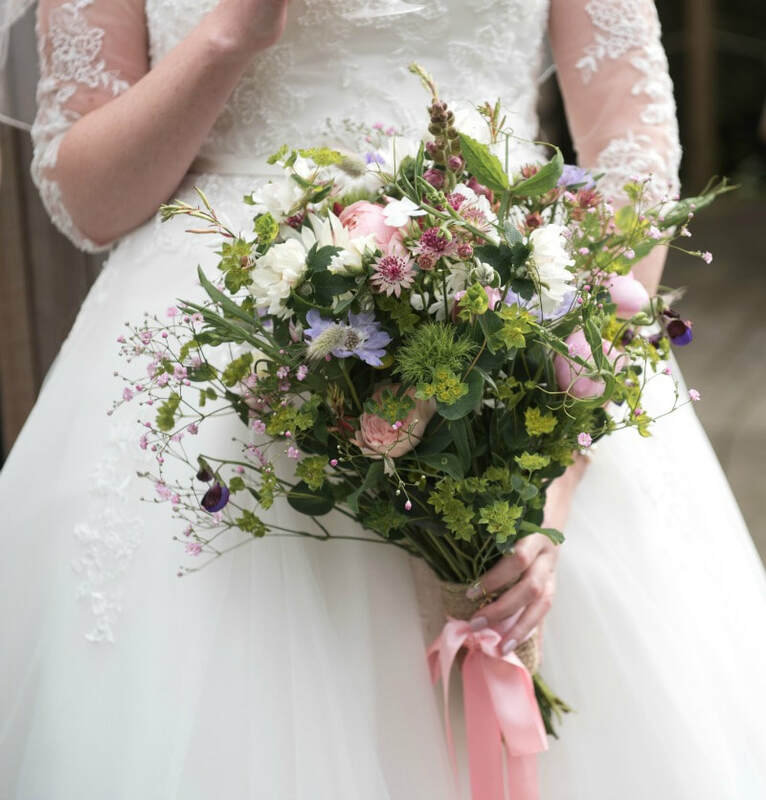 If you're looking for special flowers in South West Scotland for weddings, bouquets, funerals or simply as a treat to arrange yourself, you've come to the right place. 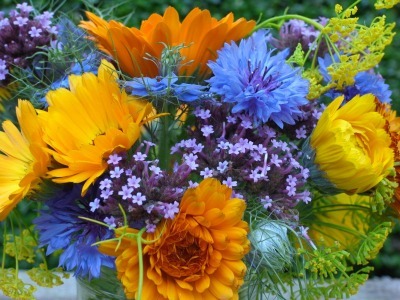 Galloway Flowers is an Artisan Florist & Flower Farm near Castle Douglas, Dumfries & Galloway. We grow traditional Cutting Garden flowers (such as Tulips, Hellebores, Garden Pinks, Roses, Sweet Peas & Dahlias) plus many unusual varieties not commonly available. Many varieties (especially those Sweet Peas!) are carefully chosen for their delicious fragrance. The choice naturally changes with the seasons. It includes foliage, grasses, seed heads, 'wild' flowers & many herbs - all perfect for a romantic, 'just picked from the garden' style. Because we grow our own flowers & foliage, our bouquets & arrangements are very different to anything you''ll find on the High Steet or in the supermarket. 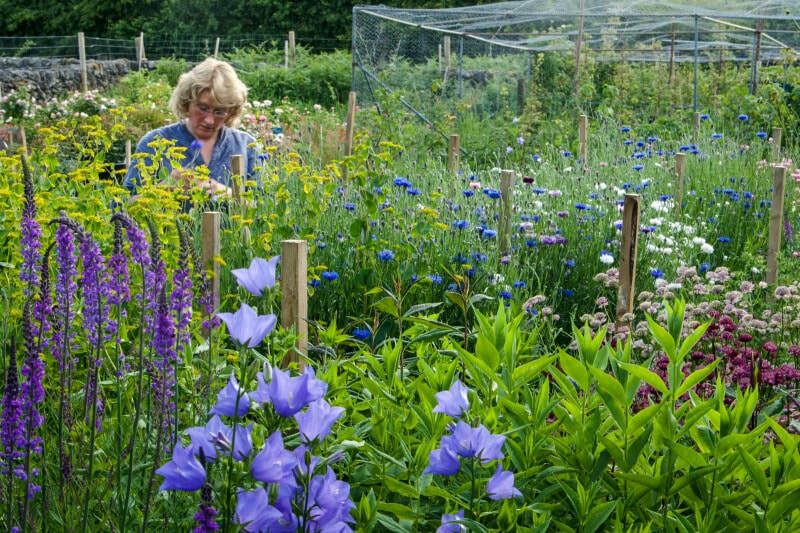 All flowers are freshly cut to order, selected from the very best in the wildlife-rich Flower Farm each day. Buying flowers when in season guarantees you'll enjoy them at their abundant best - best quality & best value. From seed sowing to planting to cutting, the distance travelled by our flowers can be counted in steps. Our wildlife-rich Flower Farm is near Castle Douglas in beautiful Galloway, South West Scotland so we're well positioned to supply local flowers with a small 'flower miles' footprint. And minimum travel distance to you means our flowers are days fresher, with maximum life in your vase. At times we supplement our Galloway-grown flowers with stems from other specialist British growers. 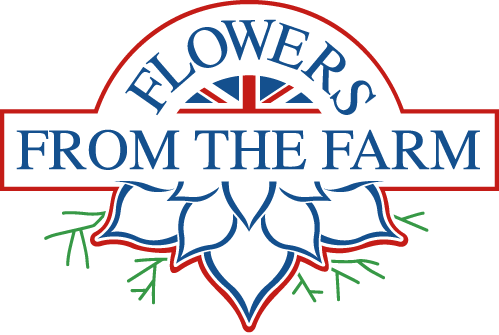 All our flowers are British grown - 100%, All Year Round. Flowers for special occasions & funerals are delivered locally or can be collected. 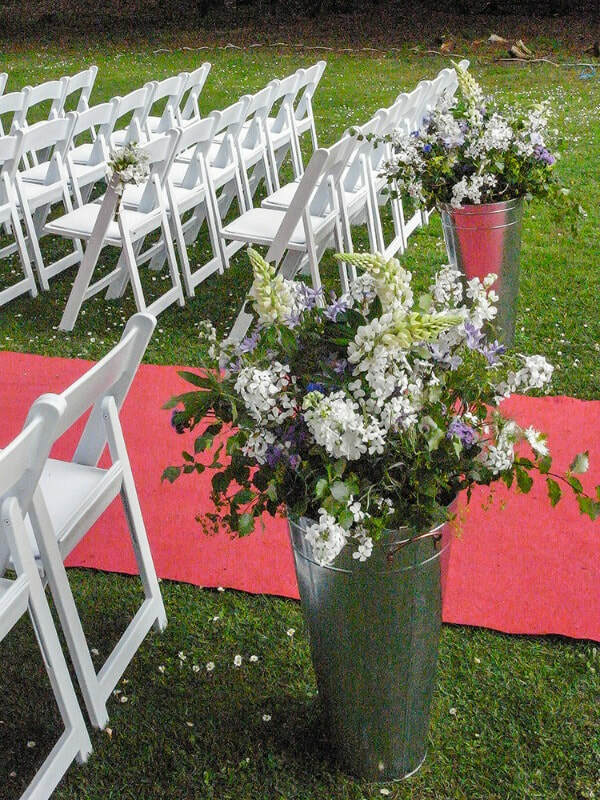 Wedding flowers are delivered across Dumfries & Galloway (including Gretna Green). Artisan Florist & Flower Farmer Castle Douglas, Dumfries & Galloway. Growing seasonal flowers & foliage for bouquets, posies, wreaths & weddings. Flower Farm Dumfries & Galloway, South West Scotland. Delivery available to Castle Douglas, Kirkcudbright, New Galloway, Dalry, Dumfries. Wedding Flowers delivered across Dumfries & Galloway, including to Gretna Green weddings.